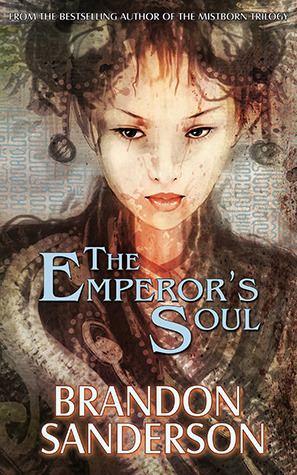 As the synopsis mentions above, this novella is set in the same world that Elantris was set. That said, there were no characters or cities or story lines carried over so it can be read as a stand alone. While short, it packed a punch and I absolutely loved it. I can see why it was a winner of the Hugo Award, despite it's length. This tells the story of Shai, a Forger who has been captured after breaking in to the Emperor's Palace to steal two very prized possessions. Meanwhile, someone else attempts to assassinate the Emperor, fails but leaves him in a comatose state without his soul. So those left in charge while the Emperor is “out of action”, make Shai forge a set of Soulstones to create a replica of the Emperor's soul so that he can return to ruling the empire. I loved the magic system in this and how Forgers can change the history of an object which in turn changes the object itself. It is different to the main magic system in Elantris but I think that's because this book is set in a different region to that which was focused upon in Elantris. This gave off a more oriental and exotic feel. I loved it! I've heard that Sanderson will be writing another book set in Elantris which I will look forward to as it was a very interesting world with great characters.